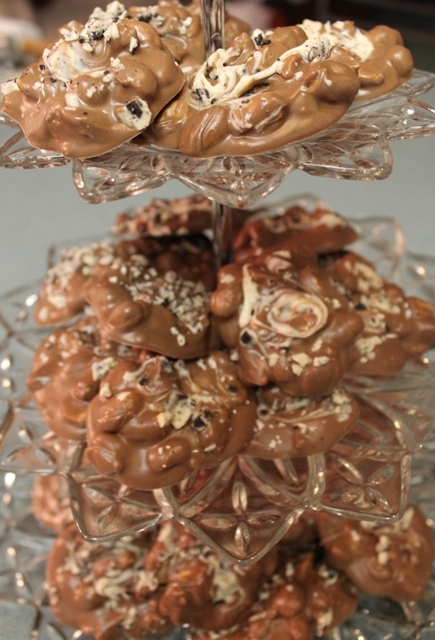 Crockpot Candy | Rosetta Bakes! Put ingredients into a 4 or 5-quart crockpot in EXACT order as listed. Turn off and allow to cool slightly. Mixture will not be melted but will be soft. Mix thoroughly and drop by teaspoon size cookie dropper or a teaspoon onto wax paper. Let cool thoroughly. Makes approximately 150 – 170 pieces.